Tonights show is about women abuse and will discuss the phenomenal topic that was hot on twitter this weekend #yesallwomen. Log in tonight at 10-11pm EST to listen to a live radio episode. 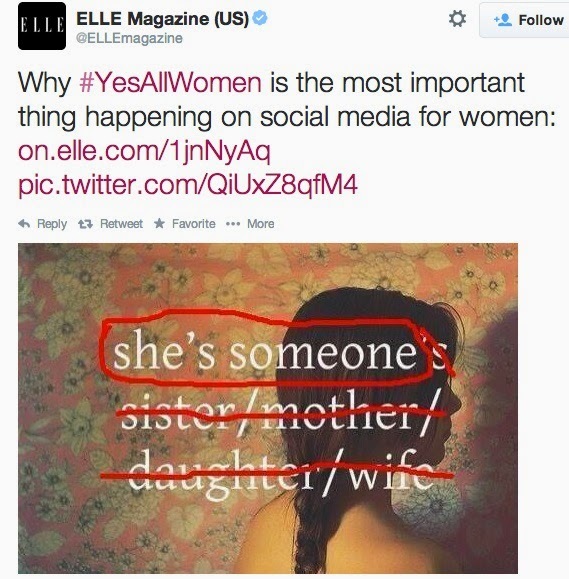 Have you been following or reading about the #YesAllWomen movement on Twitter? Juneau blogged about how the stories of how all women live with the threat of violence made her reflect about why Adam Lambert won her heart. But there is more to it than that. Adam has inspired so many and given women — and men — the courage to face fear, throw off their shackles and not be dictated to about how they should look, or feel, or behave. We live in a very complex time, with extreme oppression of women still widespread in much of the world, while in the West, women have made strides undreamt of just a generation ago… and yet our media are filled with images of women that seem more hypersexualized than ever. Is this empowerment or a trap? And what about men? When white males still fill the CEO suites and earn more than women for doing the same jobs, why are some so filled with rage? Is this just the backlash of those who are losing their privileged positions, or is something else going on? My awesome Glambert friend and author Juneau is joining me for a live discussion. Call in to share your views! We look forward to an hour of serious discussion and seriously good music, of course! The new Glee “Frenemies” with Adam Lambert aired on Feb 25. Join in at 10-11pm EST (Toronto time) to hear a live radio episode for Adam Lambert fans this time featuring Adam Lambert’s role on Glee musical and discuss Adam’s upcoming plans to perform with Queen this year.